Three civil servants describe how they collaborated on staging a cross-departmental diversity and inclusion event, and what they learned. Our group is going from strength to strength. 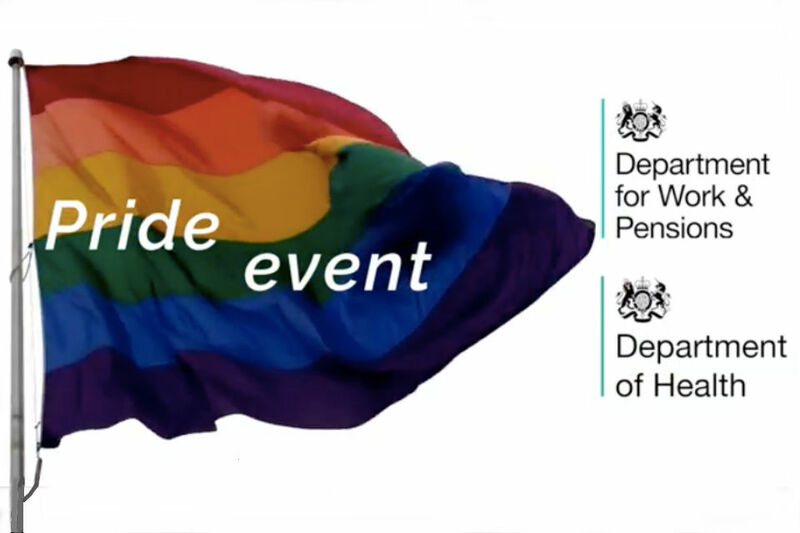 So, when an email from DH’s diversity lead popped into my inbox inviting us to join forces on an event to celebrate Leeds Pride, I knew it was a fantastic opportunity to collaborate and showcase what we are doing in our region on the LGBT* agenda. I replied, ‘Happy to help, let’s talk’. And so began a whirlwind of activity. 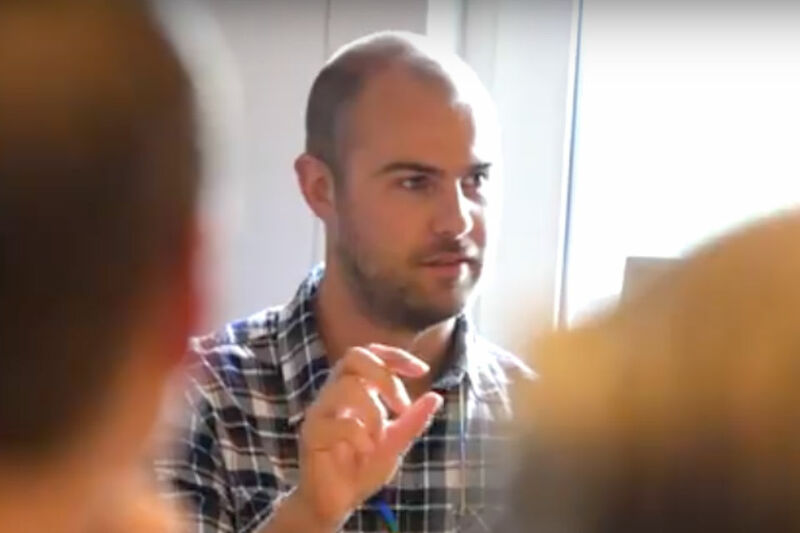 Our DH LGBT* network Prism had recently held a successful Pride event in London. I was keen to build on this with an event in Leeds. After discussing with Panos Mylonas, our Prism chair, I pinged an email to DWP contacts, including Shelley. I was delighted to find she was as keen as we were, and I set up a meeting with Panos. My ‘lightbulb’ moment was thinking to invite speakers from Leeds City Council. I had read about what the council’s LGBT* Hub was doing to strengthen Leeds as an LGBT* friendly city and was eager to get them involved. Panos sourced a Senior Civil Service sponsor from DH and a speaker from Stonewall, and Shelley had fantastic success recruiting SCS from DWP. 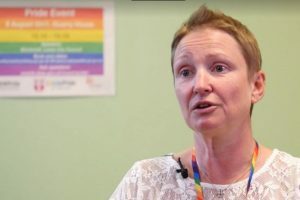 When Jenny had the brilliant idea of asking DWP to co-host the event, the immediate reaction was, “why haven’t we thought of this before?” We both have active LGBT* networks and members based in the same government building in Leeds. Shelley brought in colleagues from Digital Engagement and the wider DWP community, and we realised we were going for something big! After our meeting I was really excited, because we were doing something we are all passionate about. I needed to find a DWP SCS sponsor. Armed with some names I pinged off a cheeky email inviting them to get involved. I was bowled over to get a number of enthusiastic responses. 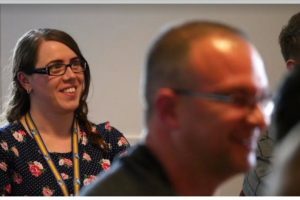 After juggling dates, we agreed that DWP’s Dan Tanham (Deputy Director, Working Age & Universal Credit) and Alex Stanhope (Digital Design Deputy Director) would take part. It was confirmation that if you don't ask you’ll never know what you might be able achieve. We began promoting the event and I even hijacked my director’s all-team call to tell people about it. This resulted in a colleague from our engagement team offering to produce this fabulous video about the Pride Event. The event was better than I could have hoped for. 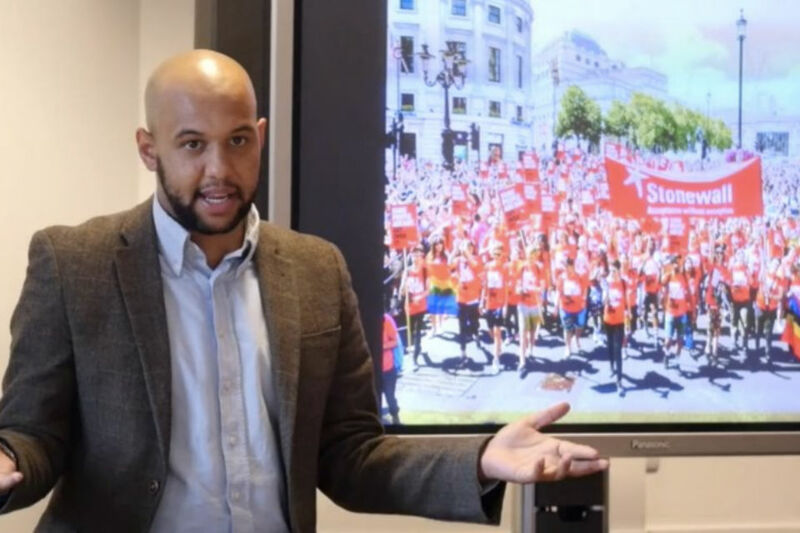 It was fantastic to have SCS colleagues set the scene, followed by guest speakers including Josh from Stonewall, who talked about LGBT* inclusion at work, the challenges for individuals, and practical things we can all do to help create more inclusive workplaces. Rob and Geoff from Leeds City Council gave their perspectives on the external work of the Leeds LGBT* hub and their LGBT* network activities. Working in D&I I thought there wouldn’t be much for me to learn. I was wrong. I learned a lot about issues in the LGBT* community and what more I can do as an ally to help challenge inappropriate behaviours. Inclusion can start with reaching out to others and being open to their ideas and perspectives. D&I is really important in making a ‘Brilliant Civil Service’ and a great place to work. To say it is essential that the organisations we work for embrace and promote diversity is an understatement. We are all different, in our sexuality, our gender, our race, our faith, our cultural background - the list continues. But we have more in common than not. We all respond to the same triggers – friendliness, support, encouragement, and so on. The culture of an organisation should reflect this, giving everyone a fair chance to be themselves and grow in their careers. That’s what our event was about – raising awareness and highlighting the behaviours we should adopt to ensure that everyone is, and feels, included. I particularly took away something Josh said about an approach to raising awareness in others. Essentially, it consists of saying to them: I know what you said was not meant to offend, but put yourself in someone else’s shoes and think how you might react. 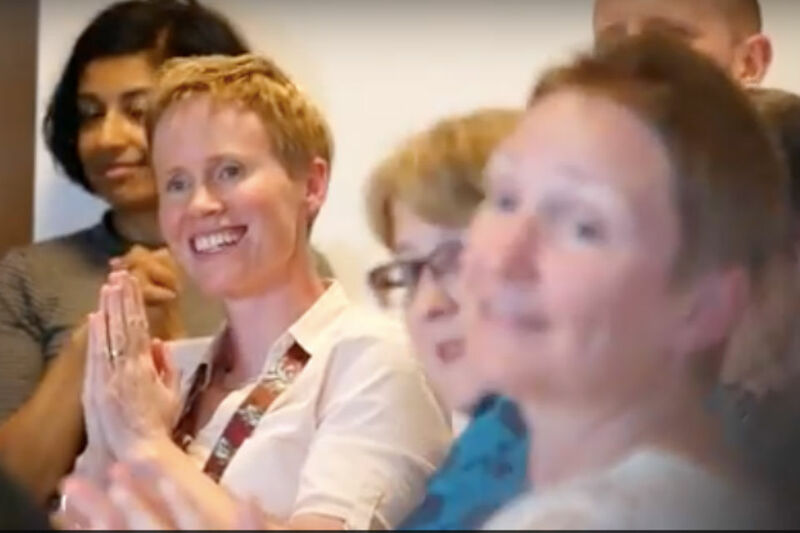 The event went fabulously well, and the video is something we can share time and again, extending the impact. Feedback like this shows me the event has had an effect and that by working together we've made a difference to people. Hopefully, they will talk to others and make a difference to them. Big conversations like the ones we had in Leeds are important. We need to have more of them; not just on LGBT* issues, but other diversity subjects, like age, gender and gender identity. I look forward to building on this new collaboration with Jenny, Panos and DH. I've already started to plan the next few events. We will reach out to other departments to collaborate with them too. Imagine what we could achieve then! So, if you agree it's important to talk about diversity and inclusion and want to help increase awareness and #ChampionDifference, please share this blog. Tweet it, re-tweet it, like it when others do and, most importantly, talk about it. Thank you for an informative blog. It shows what can be achieved through working in a collaborative manner. I really glad that those who participated found the event to be useful. I have to say that it was not I became an LGBT* Straight Ally that I fully appreciated the challenges faced by LGBT* colleagues and in particular those who are Bi sexual, who are not able to be as visible as their would like to be. It is only through the fantastic work that the various Civil Service Diversity and Inclusion do to increase aware and and understanding that we are starting to see a signifcant change in attitude within the workplace. Hi Gavin, glad you liked it. Allies are hugely important to any diversity group. They play a vital part in raising awareness and challenging any bias or unhelpful behaviour. Together we can all make a difference and change the bit of the world around us. Inclusiveness is not just about the LGBT community. What about showcasing other underepresented groups, such as ethnic minorities, disabled employees, people who volunteer to help others in the community, different religious beliefs and so on. Hi Charlotte, thanks for your comment. You are absolutely right about there being other underrepresented groups. There are numerous networks out there who are doing a brilliant job on helping to raise awareness in those areas too. That said, there is always more we can do to help make a difference. I encourage anyone who has a passion for any of these diversity groups, including intersectionality (when people relate to more than one group), to get involved with events that are happening locally or to set something up if nothing is going on. We can all make things happen, if we try.